Game four of the Wizards’ five-game trip comes on the heels of a loss that Washington certainly wishes it could have back. After Friday’s loss to the Kings, the team admitted that it needed to communicate better, take pride in defense and play better team basketball. 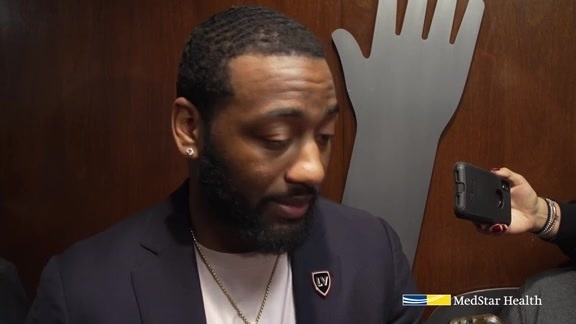 John Wall and Bradley Beal are leading the charge as veteran leaders, and the Wizards will have their first chance to get back on track Sunday in Los Angeles against the Clippers. The Clips are off to a solid start at 3-2, and are returning home after they routed the Rockets in Houston on Friday, 133-113. Following Friday night’s loss to the Kings, head coach Scott Brooks put an emphasis on improving the defense. He noted the team was sometimes allowing the offensive production to dictate things on defense. 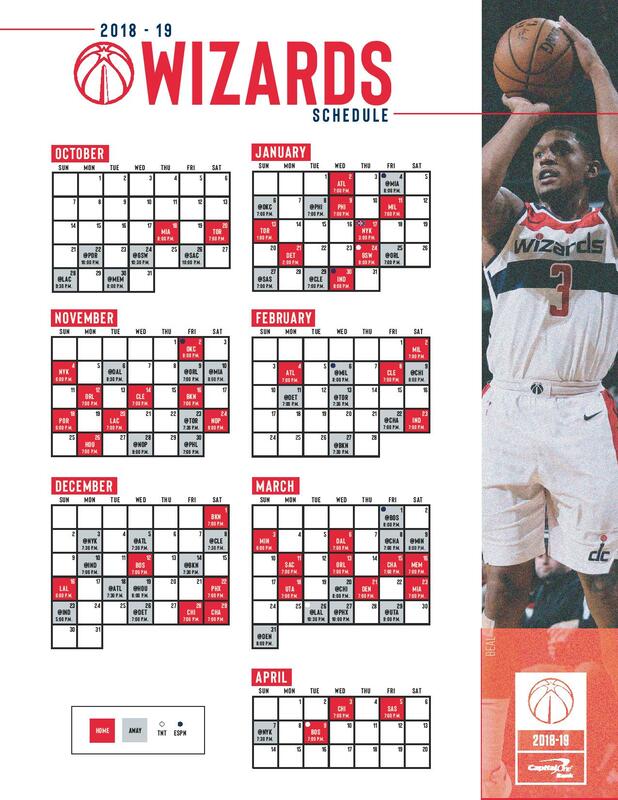 More importantly, Brooks pointed out that three out of the Wizards’ four losses have come down to the wire. Correcting things on defense can help propel a team to victory late in a game, which is undoubtedly why Brooks is making it such a priority. Unlike teams the Wizards have faced on this road trip, the Clippers don’t have a single high-voltage offensive player. They do, however, have a multitude of players who can score. Improving on the defensive side of things will certainly be something to keep an eye on. Despite not have a superstar scoring presence, the Clippers possess legitimate 11-man depth. The starting five is formidable, with Tobias Harris remaining an underrated versatile player. The Clippers also benefit from a defensive-minded starting backcourt featuring veterans Patrick Beverley and Avery Bradley. The Clippers benefit from strong bench play, which is highlighted by reigning NBA Sixth Man of the Year Lou Williams. Montrezl Harrell is another name to watch, as the 24-year old center scored 30 points in the Clippers' win over the Rockets. Rookie guard Shai Gilgeous-Alexander has been solid so far for Los Angeles, averaging 8.8 points per game to go along with three assists. Despite being the youngest member of the Clippers, Gilgeous-Alexander plays the fourth most minutes. Of course, the Clippers also have former Wizards Marcin Gortat and Mike Scott. Through five games, Gortat is averaging 3.6 points per contest, while Scott is averaging 2.2. Despite entering Sunday night's matchup with a 1-4 record, three out of the Wizards' four losses came down to the wire. Had the team done certain small things differently, the outcome may have been altered. Against the Clippers, the Wizards need to focus on winning individual battles to enhance their chances to win. 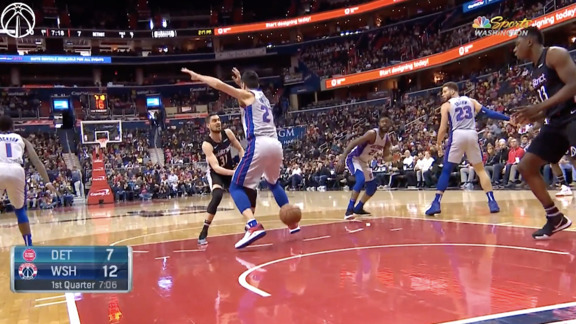 Improving on ball security should be a large factor for the Wizards. The Wizards struggled with turnovers against the Kings, as they gave the ball away 21 times. Additionally, rebounding proved to be an issue against the Kings. Sacramento out-rebounded the Wizards 61-50, which was certainly a factor in the outcome. After running with the young legs of the Kings, the Wizards face an opponent that likes to slow things down. Sunday night's game will be a styles clash in terms of pace. The Wizards rank third in the NBA in pace at over 107 possessions, whereas the Clippers check in at 17th with just over 102. The overall flow of the game will be interesting to watch, with the Wizards running up-tempo and the Clippers operating a slower, more deliberate approach.